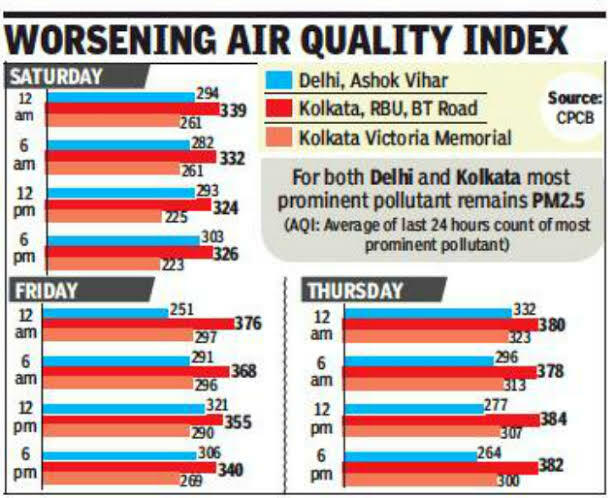 Just after Diwali, Kolkata gets big reason to fear when pollution meter crossed Delhi's reading. The most pollution among the major cities of the country is in Delhi. It was known to this day. But this time Kolkata is moving too close to Delhi. According to the latest report of the Central Pollution Control Board, Kolkata is increasing fear for the country's most polluted cities. 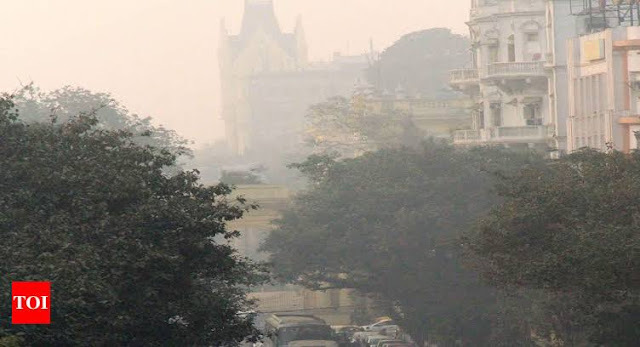 Calcutta's air is at the moment in the country's most polluted list. The air quality index released by the Board for the last week, the metro City Kolkata tops the list beating Delhi, Mumbai, Chennai. And that is a big reason to fear for Kolkata's people. As per the rules of the pollution control system, there are rules for installing air quality measuring instruments in every city. There are at least 19 automatic stations in Delhi. Calcutta has two At Rabindra Bharati University on one of BT Road and the other at the Victoria Memorial Hall. In a densely populated area and in a green surrounded area. The report from Calcutta has been compared with Ashok Bihar, the most polluted area in Delhi. And still it beats Delhi to go ahead as most polluted city in India. The Air Quality Index released by the Central Pollution Control Regime on 17th November shows the index value of Calcutta-277. Delhi at that place - 267. The remaining two metro towns Mumbai and Chennai respectively - 129 and 51. In the list of boards, Kolkata and Delhi's wind flow have been marked 'Poor'. Mumbai received 'Moderate' and Chennai 'Satisfactory' certificate. Long ago, environmentalists have warned that Calcutta is becoming poisonous. Increament in the number of cars in the city, deficiencies of wetlands, green shrinking have been the reasons behind it as well as no legal steps have contributed to environmental awareness deficiencies. Calcutta, which is behind Delhi, so far, the fear is going to increase in a very natural way. The Diwali of the year has shown that the government still fails to create awareness in the city. Awareness about pollution caused by cars or the green movement, nothing seems to be working for the wellness of the city. The government can not avoid its responsibilities as well as citizen awareness is needed, experts say. Kolkata needs serious attention in the pollution department. Delhi government has tried a lot but still Delhi ranks top 10 in world's most polluted cities' list. Kolkata government also have to take quick actions to aware the public and make rules to prevent pollution as Delhi government did, but in the right path. Hoping that to happen soon, we end here.